My fellow Americans, I am pleased to tell you today that I’ve signed legislation that will outlaw Russia forever. We begin bombing in five minutes. At the time Reagan was running for re-election against Democratic nominee Walter Mondale, and the President’s faux pas resulted in a temporary dip in his poll numbers. However, Reagan won the November election and went on to continue his get-tough policy towards Russia. Ironically one of Reagan defining moments came in later comments about Russia; in 1987 he visited the Berlin Wall where he famously commanded: “Mr. Gorbachev, tear down this wall!” (1). Some might argue that the most glaring faux pas in presidential history was committed by President William Henry Harrison at his inauguration on March 4, 1841. Ignoring advisers who told him to wrap up against the cold, he proceeded to give the longest ever inaugural address (one hour and forty-five minutes) and died from the resulting chill one month later of pneumonia. 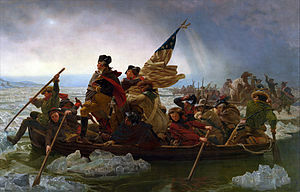 On this date in 1776, George Washington crossed the Delaware, leading the soldiers of the Continental Army in a surprise attack on a Hessian outpost at Trenton, New Jersey. After suffering defeat in the Battle of Long Island and losing New York City to the British, the Patriot forces were in danger of losing the Revolutionary War. Hoping to mount a comeback and surprise the Hessians who were celebrating Christmas, Washington planned a night crossing of the half-frozen waters of the Delaware River. Washington had an unconventional attack planned, but another key element of his strategy was to employ some especially motivational words, words that would light a fire under an army that was freezing on the shores of the Delaware. On Christmas Eve, the day before the crossing, Washington ordered that Thomas Paine’s The American Crisis be read aloud to troops of the Continental Army. THESE are the times that try men’s souls. The summer soldier and the sunshine patriot will, in this crisis, shrink from the service of their country; but he that stands it now, deserves the love and thanks of man and woman. Tyranny, like hell, is not easily conquered; yet we have this consolation with us, that the harder the conflict, the more glorious the triumph. What we obtain too cheap, we esteem too lightly: it is dearness only that gives everything its value. Heaven knows how to put a proper price upon its goods; and it would be strange indeed if so celestial an article as freedom should not be highly rated. Britain, with an army to enforce her tyranny, has declared that she has a right (not only to tax) but “to bind us in all cases whatsoever,” and if being bound in that manner, is not slavery, then is there not such a thing as slavery upon earth. Even the expression is impious; for so unlimited a power can belong only to God. . . .
After successfully crossing the Delaware, Washington and his men arrived at Trenton the next day. Catching the Hessians off guard and hung over from their Christmas Day celebrations, the Americans won an easy victory. Victory in the Revolutionary War would not come for five more years, but the success of the Colonial Army at Trenton revived the spirits of the American colonists, showing them that victory was possible. What is something you feel so strongly about that you would advise everyone to do it? As Paine’s writing demonstrates, words have the power to move people to action, the kind of action that can change the course of history. Write a speech in which you argue for a specific call to action on the part of your audience. As the title of your speech, finish the following: Why everyone should . . .
Why everyone should learn a second language. Why everyone should take a self-defense class. Why everyone should sing in the shower. Why everyone should read more fiction. Why everyone should use the Oxford comma. On this date two emotionally charged speeches about dogs were given more than 50 years apart. But Pat [Nixon’s wife] and I have the satisfaction that every dime that we have got is honestly ours. And you know, the kids, like all kids, loved the dog, and I just want to say this, right now, that regardless of what they say about it, we are going to keep it. (2). Both of these speeches — coincidentally presented on September 23rd — exemplify the power of pathos in writing. The Greek philosopher Aristotle wrote about three key components of persuasive rhetoric: ethos, logos, and pathos. Ethos is the writer’s credibility, and logos is the writer’s reasoning. The third, and perhaps most important component, is pathos, the writer’s appeal to emotion. Both Nixon and Vest knew that to persuade their audience they needed more than just reasonable arguments and facts; in addition, they needed to move their audience’s emotions by tugging at their heart strings. By using their words to create moving and specific images, and to tell specific, personal anecdotes, Vest and Nixon crafted cogent and convincing cases. 3 – Gallow, Carmine. Talk Like TED: The 9 Public-Speaking Secrets of the World’s Top Minds. New York: St. Martin’s Press, 2014. 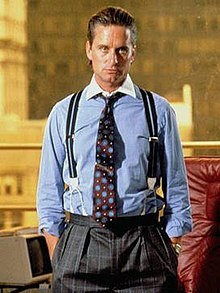 At the time Reagan was running for re-election against Democratic nominee Walter Mondale, and the President’s faux pas resulted in a temporary dip in his poll numbers. However Reagan won the November election and went on to continue his get-tough policy towards Russia. Ironically one of Reagan defining moments came in later comments about Russia; in 1987 he visited the Berlin Wall where he famously said, “Mr. Gorbachev, tear down this wall!” (1). Some might argue that the most glaring faux pas in presidential history was committed by President William Henry Harrison. Ignoring advisers who told him to wrap up against the cold, he proceeded to give the longest ever inaugural address in history (8,445 words) and died one month later of pneumonia. 1. Our enemies are innovative and resourceful, and so are we. They never stop thinking about new ways to harm our country and our people, and neither do we. 2. Depends on what your definition of is is. 3. I love sports. Whenever I can, I always watch the Detroit Tigers on the radio. 4. When a great many people are unable to find work, unemployment results. 5. Comment made on September 7th: Today is Pearl Harbor Day – 47 years ago from this very day we were hit and hit hard at Pearl Harbor. Quotation of the Day: A gaffe is when a politician tells the truth.